Trying to catch up before we head for Alaska. We are relaxing in Mt. Vernon, WA with Wayne’s parents. 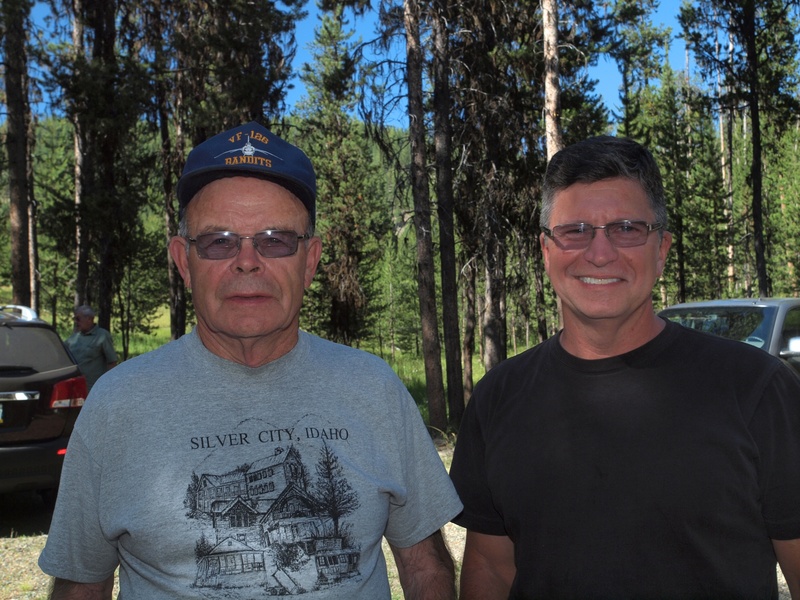 Wayne and I had planned to spend two days in Nez Perce country but we split up our time in Idaho to attend a wake my brothers planned for my Dad in his beloved ghost town, Granite, Oregon, an old gold mining town in Northeastern Oregon. I had learned that the Nez Perce fled their homeland in this area of Oregon after the “steady Indians” of Lapwai signed their land away with the treaty that reduced the reservation by ninety percent. Old Chief Joseph, who’d gotten his name when baptized by the Presbyterians, tore up his Bible and renounced Christianity. It was his son, Chief Joseph, who became famous for leading the “non-treaty” Indians out of Oregon. The reason for the new and very drastic treaty was gold. Miners were pouring into the Wallowa and Blue mountains after gold was discovered there. One of the great ironies of our listening was that I suddenly realized that my great-great-grandfather, a forty-niner who had come up to Oregon after a few years in California, had been among those miners. He had claims near my Dad’s cabin at a place called Lucas Gulch. That was my maiden name. When we were kids we just thought it a funny coincidence but when my brother did a little research he found out the gulch was named for our ancestor. I used to tell my children to be proud, for how many families got a gulch named after them. In Lapwai, I realized that the actions of my own forebears had pushed the hero Chief Joseph and his band out of Oregon, a sad and tragic tale of history. We are all responsible for the injustices toward Indians I suppose but this made it a little more personal. That knowledge put a little different spin on maybe our last visit to Granite. 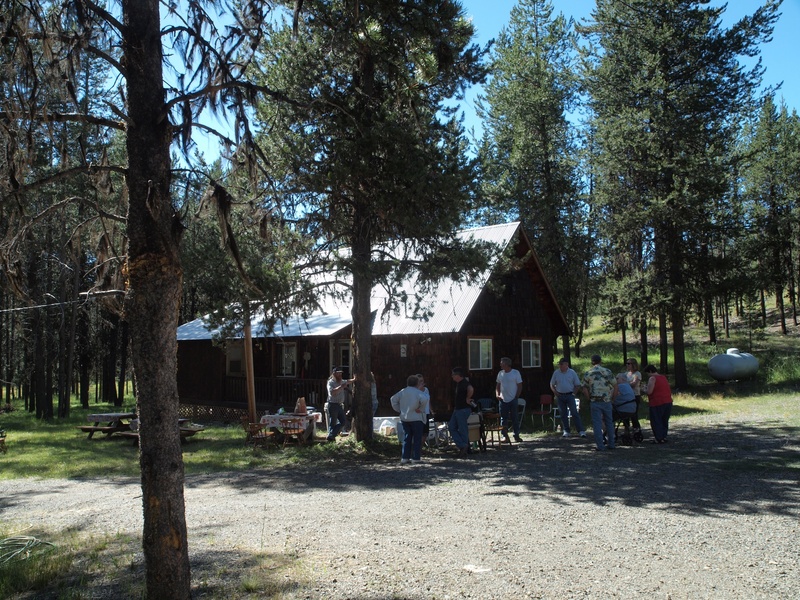 My brother plans to sell Dad’s cabin because none of us can use it and it is so hard to keep it from deteriorating in the brutal winters. Dave wanted to have a keg and barbecue for Dad’s neighbors who had helped out so much by visiting him in the nursing home in Baker City and taking care of his cabin. 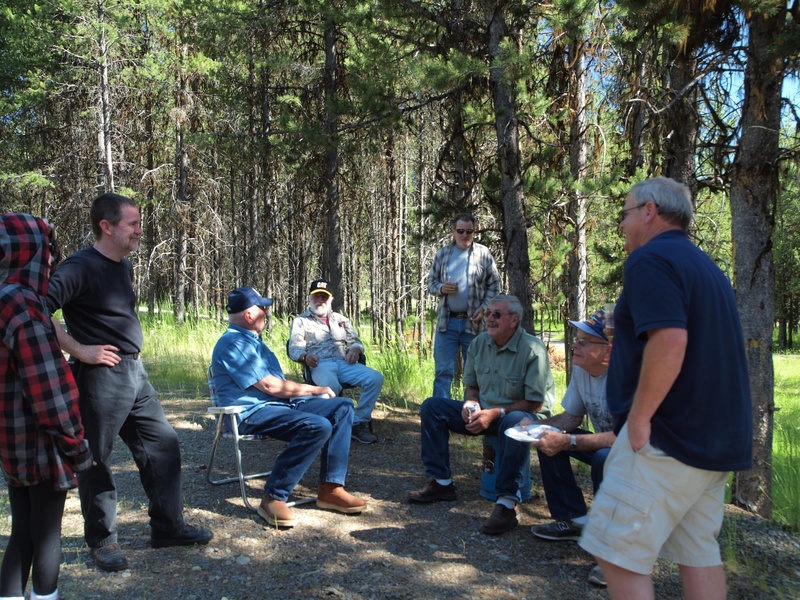 About 40 people came and spent the afternoon shooting the breeze, Dad’s favorite pastime, and reminiscing about our old man, one of the last of the good ole mountain boys. goodbye to the gold country where Ispent so many happy hours as a kid and adios to Dad. He’s in a better place now.